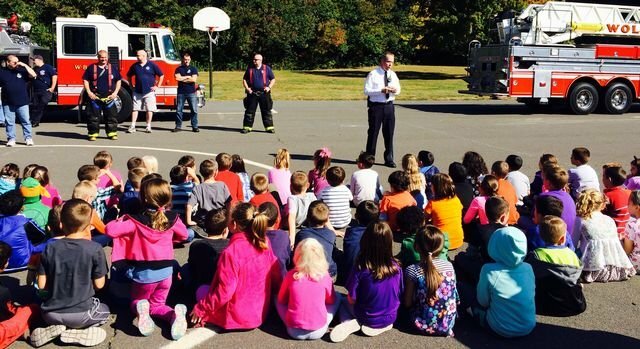 The Fight'n Third from the Wolcott Company 3 Volunteer Fire Department paid a visit to Wakelee School on Wednesday. The firemen taught the students about fire safety both at home and at school. This month is Fire Safety Month.